Watch all videos from Difinity 2018. 55 technical sessions plus a keynote. more than 60 hours of content about Power BI, Microsoft SQL Server, AI, Analytics, Machine Learning, Azure and IOT. 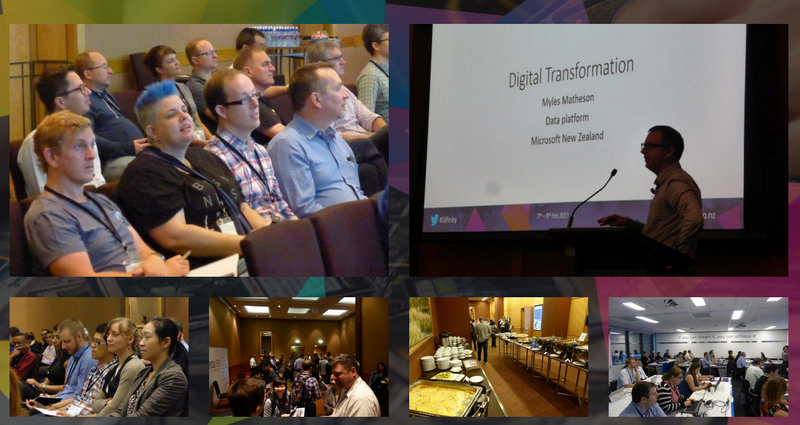 Difinity is the largest Microsoft Data Platform, Business Intelligence, and Analytics Conference in New Zealand. IT Decision Makers, Developers, Analysts, IT Professionals, BI Managers, BI Professionals, Database Administrators, Architects, Digital & Big Data business leaders, and Consultants will gather for three consecutive days of learning. There will be 55 technical sessions delivered by 40 speakers from all around the world, including Microsoft Most Valuable Professionals, Microsoft Certified Masters, and Microsoft Corporate’s product teams. Sessions will be split into tracks for Data Platform, Business Intelligence, and Analytics. 40 Speakers; 10+ from Microsoft, 20+ Microsoft Most Valuable Professionals (MVP), MCMs and Microsoft Certified Architects (MCA). 8 pre-conference workshops at 12th of Feb. and 55 sessions at 13th and 14th of Feb.